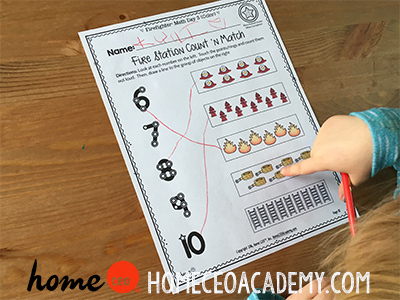 Week 25 (of our 30 week preschool homeschool program for 4 year olds) taught us all about fire fighters! Check out some photos from our week. 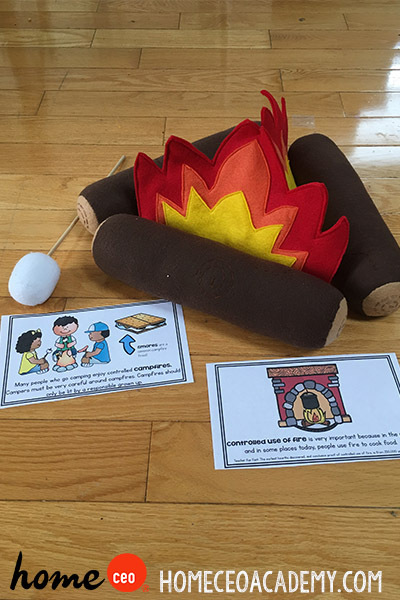 I thought it was only fitting that we reviewed the vocab cards about smores and controlled fires in front of our felt campfire! We have moved on to O words in our semester long game, The Keys To Reading Town. I tried to stump Kylie with b,d,and p but you can't get anything past this girl! 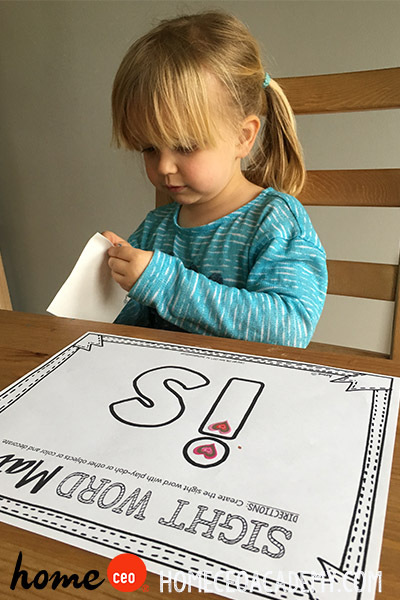 Decorating our sight word mats are a new favorite activity! 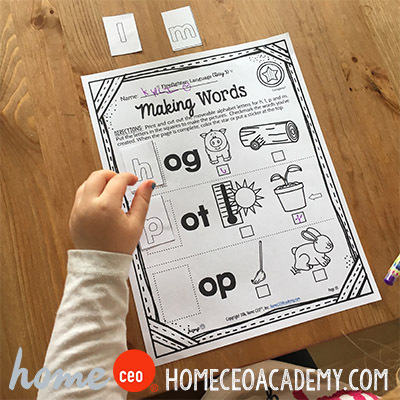 Kylie continued working with O CVC words with this fun "build a word" work sheet. 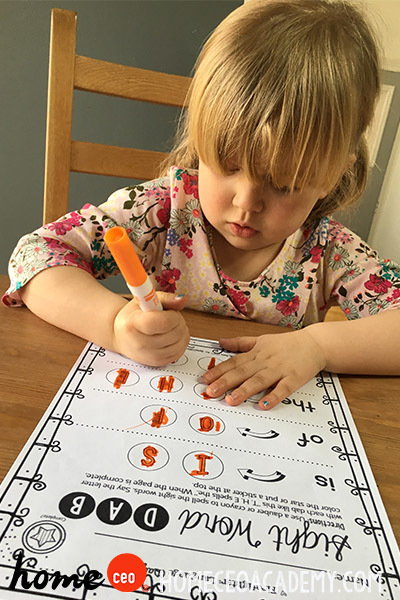 How is your child's handwriting? Have them write in the letter for extra practice! Our favorite fire fighting pup helped out during our dramatic play block. This week was an Encouragement Elves week, so we only has 1 proper math lesson. The science experiments in this semester, though not related to the unit themes, have been such fun! 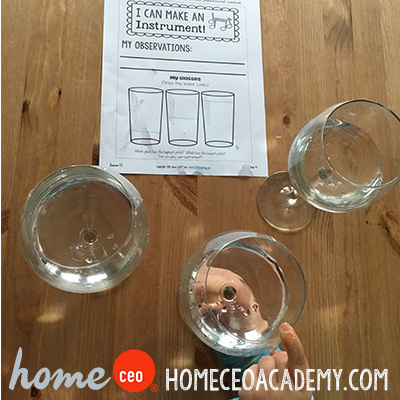 This week, we made an instrument with a wine glass! 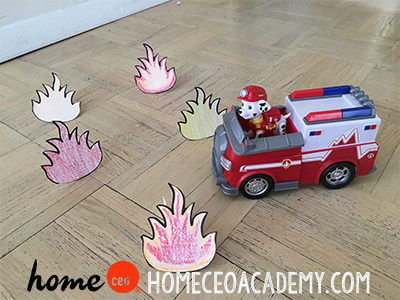 We had fun learning about fire fighters this week! 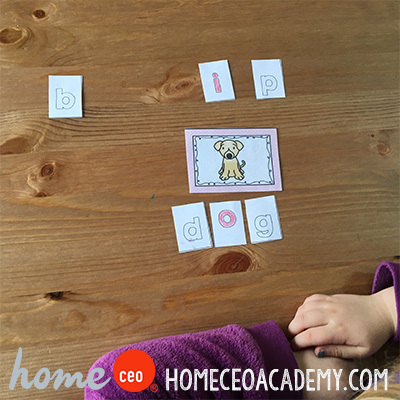 Do you want to join in on the Home CEO Academy fun? Check out our website for all the information about our 2-3 and 4 year old year long programs! Check back next week when Kylie learns about being a chef!